Greece’s PM Alexis Tsipras has arrived in Moscow for talks with President Vladimir Putin, as his country struggles with a debt crisis. 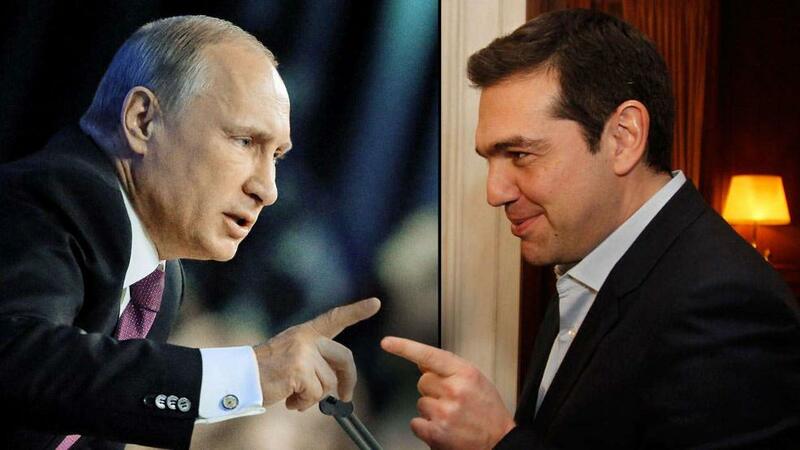 Alexis Tsipras will also meet Russian PM Dmitry Medvedev on April 9. Greece is embroiled in negotiations with the EU and IMF to unblock a bailout package and could run out of funds within weeks. Greek officials have previously pointed to Russia as a possible alternative source of financial assistance. Analysts say Russia’s own economic woes mean any help would be limited. “Russia is not and cannot be a (EU) substitute for Greece, it can only be a supplementary option,” said Constantinos Filis from the Institute of International Relations. Alexis Tsipras and Vladimir Putin are expected to discuss ties between the EU and Russia, which were badly strained by the Ukraine crisis. Before his arrival, Alexis Tsipras described the sanctions imposed by the EU and US on Russia in the wake of its annexation of the Crimea as “a road to nowhere”. The European Parliament President, Martin Schulz, said Alexis Tsipras should not break with the EU line on sanctions. “Greece demands and gets a lot of solidarity from the EU. We can therefore also ask for solidarity from Greece and for this solidarity not to be ended unilaterally by pulling out of joint measures,” he told a regional German newspaper, the Muenchner Merkur. Russia imposed a ban on many western food imports in retaliation, but Agriculture Minister Nikolai Fyodorov has said the government could consider removing three countries, including Greece, from the embargo, Russian state media reported. Alexis Tsipras came to power pledging to end austerity, but his plans have met resistance from Greece’s EU/IMF creditors, who lent the country billions to help it avoid bankruptcy. Greece has not received bailout funds since August 2014, with the EU and IMF dissatisfied with the pace of Greek reforms. A Greek repayment of €448 million ($483 million) to the IMF is due on April 9. On April 7, the Greek government said Germany owed Greece nearly €279 billion ($303 billion) in war reparations for the Nazi occupation during World War Two.